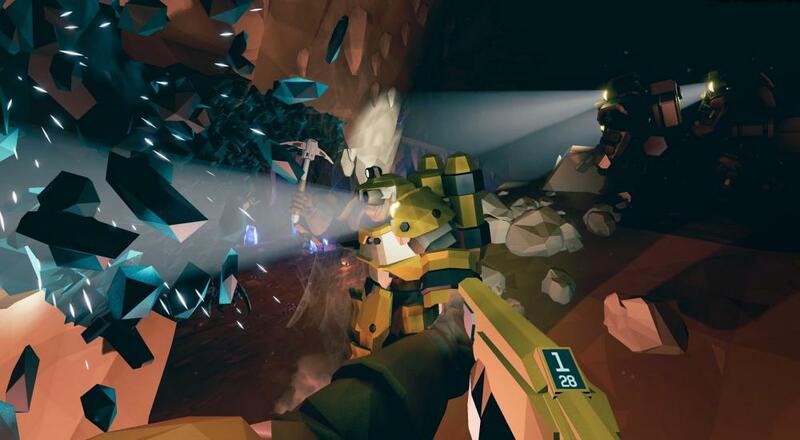 If you've been looking for a new Left 4 Dead style title, then you may be interested in Deep Rock Galactic. You and up to three co-op buddies play as dwarves that are out to mine planets and fight off bugs. There are different classes and character progression mechanics that make for a pretty interesting/solid co-op FPS. The open alpha sign-ups run from now until 6:00 pm EDT on Monday, November 6, 2017. You can sign up by heading over to the Deep Rock Galactic website and putting in an email address. Everyone who signs up will get a Steam key on November 9 so you can hop in and check it out with your buddies. The Open Alpha ends at 4:00 PM EDT on Sunday, November 12. After that, the title will go into Steam Early Access and the Xbox/Windows 10 Game Preview program sometime in 2018. Our regular Monday night co-op crew played some of the closed Alpha a few months back, and really enjoyed our time with it. Deep Rock Galactic will be available on PC and Xbox One sometime next year. It will support four player online co-op throughout. Page created in 0.5377 seconds.